I’m probably a bigger fan of emojis than my kids! 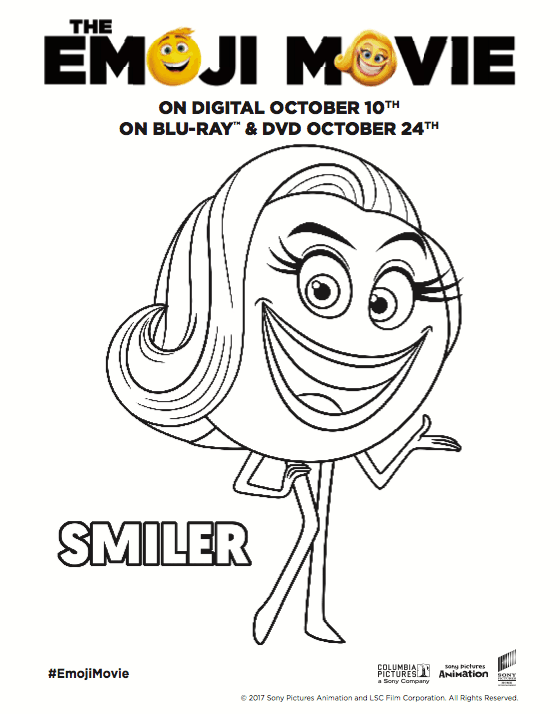 When the Emoji movie came out I was so bummed that I wasn’t able to take them to see it and was literally counting down until the Emoji Movie came out on DVD! We got lucky and were sent The Emoji Movie to us last week and Joseph has wacthed it like 10 times since! It’s so much fun to see the exicitemnet o n their face when they saw the Emojis come to life! 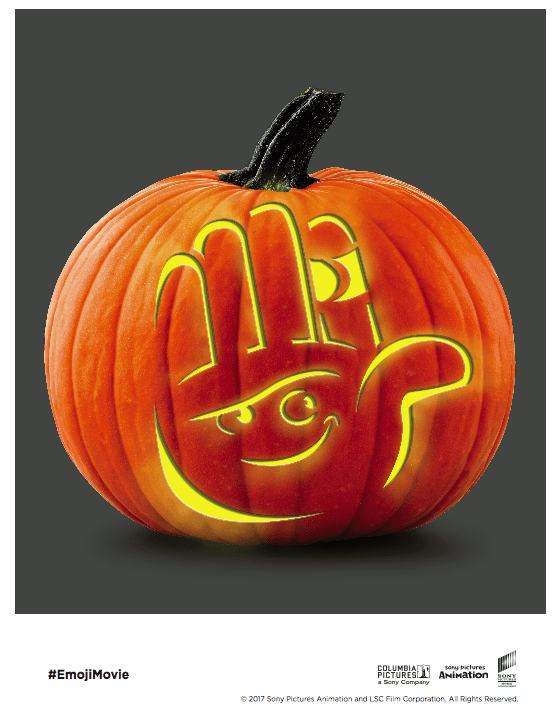 Scroll down to enter to win The Ultimate Emoji Giveaway + Free Emoji Coloring Sheets (Printables)! 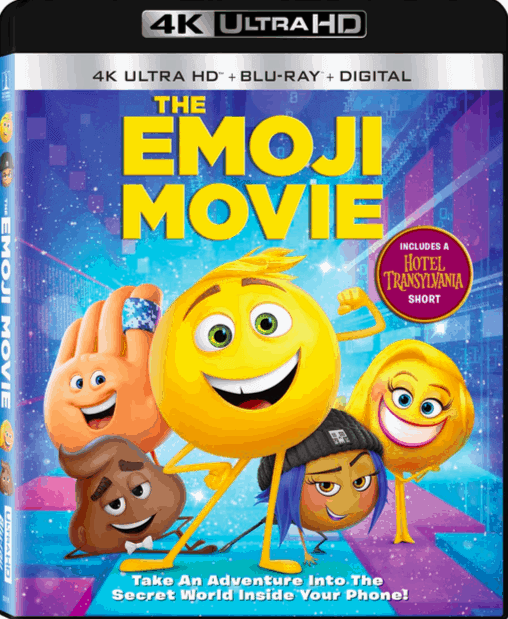 To celebrate the Blu-Ray DVD release of The Emoji movie we’re having the ultimate Emoji giveaway where you can enter to win 1 Blu-ray copy of The Emoji Movie, 1 Poop Pillow, 6 Emoji Beanie Babies, 1 Fidget Spinner, and 1 Emoji Encyclopedia Book. But, that’s not all! 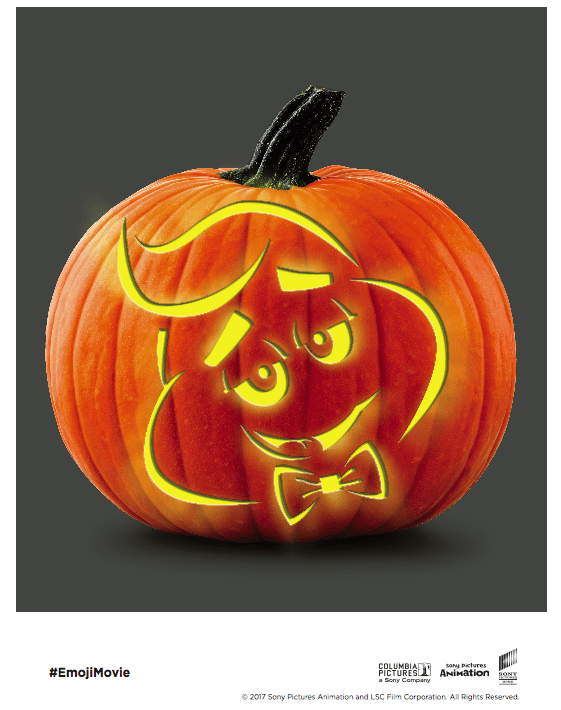 Scroll down to download Emoji characters coloring sheets AND a Emoji pumpkin carving template! 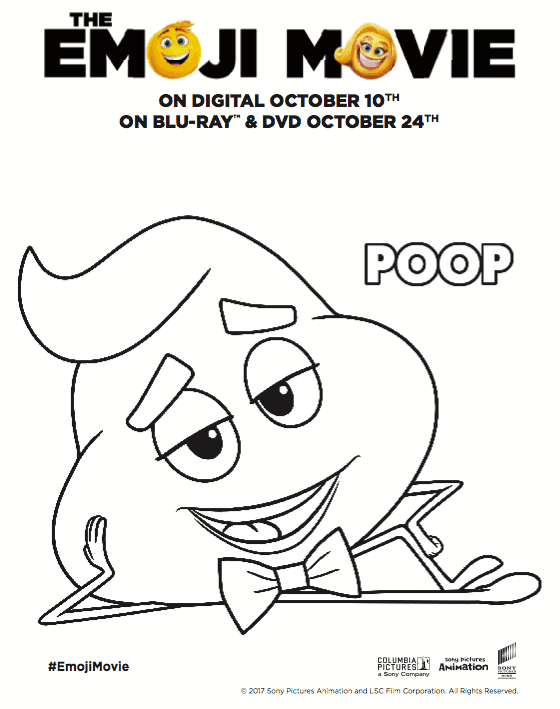 Print them and make it an official Emoji fun filled movie night! Be the movie night hero and bring home the film that kids give two thumbs up to for the ultimate kid’s movie night! The animated comedy unlocks the never-before-seen secret world inside your smartphone. Hidden within the messaging app is Textopolis, a bustling city where all your favorite emojis live, hoping to be selected by the phone’s user. In this world, each emoji has only one facial expression – except for Gene (T.J. Miller), an exuberant emoji who was born without a filter and is bursting with multiple expressions. Determined to become “normal” like the other emojis, Gene enlists the help of his handy best friend Hi-5 (James Corden) and the notorious code breaker emoji Jailbreak (Anna Faris). Together, they embark on an epic “app-venture” through the apps on the phone, each its own wild and fun world, to find the code that will fix Gene. But when a greater danger threatens the phone, the fate of all emojis depends on these three unlikely friends who must save their world before it’s deleted forever. **Product was received but all opinions are my own. We saw this movie in the theater and really enjoyed it. My kids are obsessed with the poop emoji. This is an awesome giveaway. I never saw the movie but i heard it was good and those characters are so cute. I will tell all my family with little kids about the DVD and Blu-Ray opening. I still haven’t seen this movie yet, it’s been out a few months here in Aus. I should get around to it though, it does look funny! I hate to say it but the poop one. The poop emoji is their favorite. I like the poop and the eye-roll emojis. My daughter likes the poop emoji best! My niece loves the poop emoji…. They use them in everything, but I don’t know which one is their favorite. They mostly use the different varieties of yellow smiley faces. I love the little devil emoji. Of course the kid’s favorite is the poop Gemini. They’re all pretty cute. The poop emoji is the favorite! My kids favorite emoji is the poop emoji. Thanks for the giveaway. I hope that I win. My daughter loves the one with the heart eyes!! My favorite emoji is still the smiley face! I would say the smiley face. My kids like the smiler emoji. The smile emoji is my favorite. The poop emoji is my favorite. 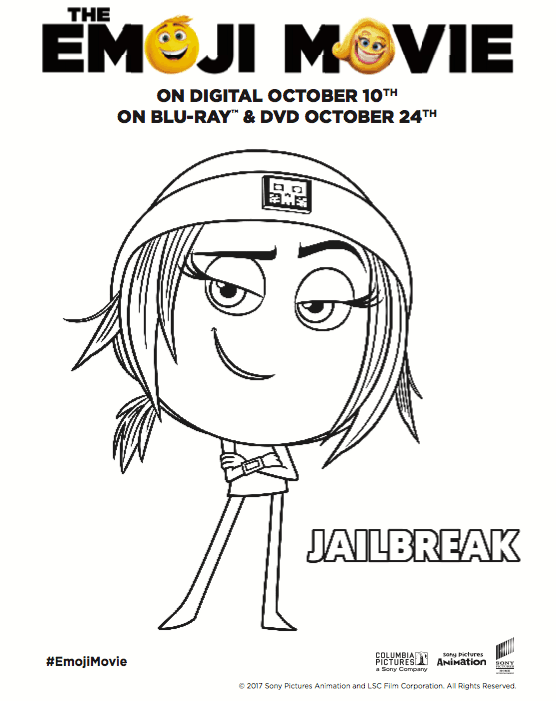 My daughter’s favorite character from the Emoji Movie is Jailbreak. Our fave actual emoji would have to be the poo emoji. With the thumbs up emoji in a close second! A smiley face is the best one! I love to receive them! My son says he likes the smile emoji and I like the one with heart eyes. All of my kids love the poop emoji. One of my daughters likes the rainbow poop. The other likes that and the unicorn. Oh I have to go with the poop emoji! Our little one loves that one!!! So excited to see this movie! So fun! We saw this movie in the theater and my daughters really enjoyed it. I like the Hi-5 emoji. My kids favorite Emoji is Poop. She is actually being Emoji Poop this year for Halloween. We’re big on the poop emoji. My kids like the poop emoji! 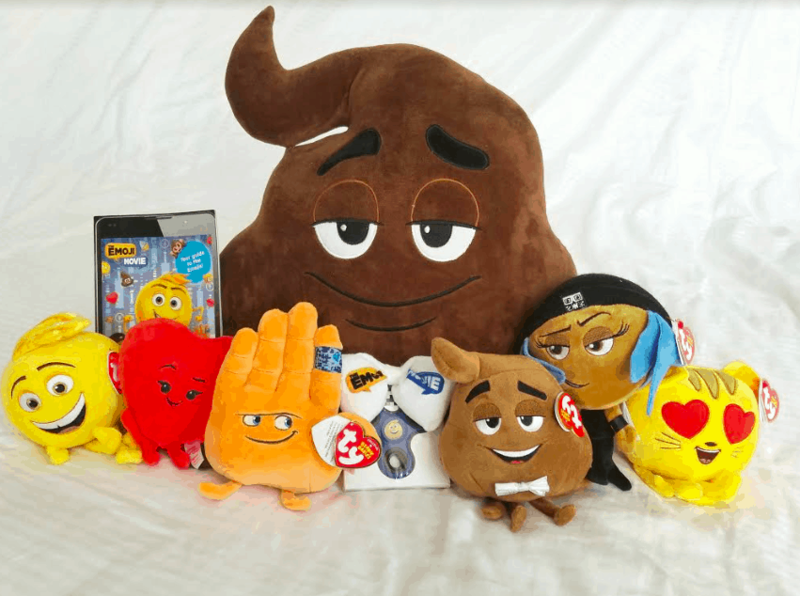 My kids favorite is Poop….that wasn’t a surprise to me! The tongue out laughing one. I love the winking face. Basic but classic. We like the heart one! My kids love the poop emoji. I missed this in the theater so I’m glad to see it’s already out on DVD. I almost like waiting for the DVDs because they are packed full of so many great extras. My niece’s favorite is the poop emoji! My son’s favorite emoji is the one with heart eyes. It was actually what he was for Halloween too! they like the poop emoii 🙂 But i think they use the heart and smile emoji most often when texting (my oldest anyway) They really wanted to see the Emoji movie but we missed it at the theater can’t wait to see it on DVD soon. My daughter has a bean bag in the shape of a poop emoji. She thinks its hilarious. my daughter really likes the poop emoji. My daughters favorite Emoji is the one that winks and blows a kiss. She is obsessed with them. My sons like the poop emoji. I tend to use emoji hearts a lot. My daughter’s favorite are smiley faces. I like the poop emoji the best, don’t know why, I just do. I love the winky face emoji. My boys are poop-emoji fans. I like the unicorn. My son likes the poo emoji. My favorite emoji is the winking emoji. I am late. AIn’t I?